If you love the outdoors and want to surround yourself with some incredible scenery, grab your four season tent and zero degree bag and head out to County Road 1350 just north of Silverthorne to find some epic free camping. Just input Rock Creek Trailhead into your GPS and you’ll find plenty of camping along the road or park at the trailhead and backpack off one of the many trails out here. Can’t afford lift tickets? Not to worry. Do like so many locals do and hitchhike from the parking area of A-Basin Ski Resort (right at the switchback on highway 6) to the top of the pass. Then ski or ride back down to your car. Feeling up for more of a challenge? Go beast mode and skin up the snow and ski or ride back down. Click here for more info on backcountry riding on Loveland Pass. Note: Backcountry skiing or snowboarding is dangerous and is for experienced riders only. There are snowshoeing trails galore in Summit County! Grab your snowshoes and head out on one of the many, many trails in Summit County. The strenuous Buffalo Mountain Loop is considered one of the best snowshoeing routes in the US (get more info on the Buffalo Mountain Loop by clicking here). If you want a more relaxing route, explore the endless network that weaves through Breckenridge (see the Breck winter trail map here) or discover uncrowded gems throughout White River National Forest. Mount Baldy and Mayflower Gulch are classic treks in White River NF. Click here to get winter trail info in White River National Forest. Cross country skiing is another great way to explore the beautiful nature of Summit. Anything you can explore with snowshoes in Summit, you can also explore on skis. As mentioned before, there are dozens of amazing designated XC/snowhose trails in White River national forest. You can find a full list of trail conditions here. You can also choose to XC ski on groomed trails at one of the many Nordic Centers. Nordic center rates are as follows. Any day pass purchased at Frisco, Breckenridge, or Gold Run Nordic Center are valid at all 3 centers. See linked websites for more rates on lessons or tours. Another epic way to see Summit County is by bike…well fat bike, that is. Fat biking is an increasingly popular activity in Summit. You can explore groomed trails at Nordic Centers as well as designated snowshoe/XC ski trails in White River national forest. Fat biking is quite the workout even compared to XC skiing. Fat biking lets you explore further into the wilderness because of the speed of travel. Rates for fat bike rentals are as follows. The first two companies also offer fat bike tours. Get off the beaten path and get a rush of adrenaline by snowmobiling. On snowmobiles, you’ll be able to access recreational land where you’ll get 360 degree views of the rockies. Popular snowmobiling area, Vail Pass Recreation Area, has some of the most stunning nature and views in all of Summit County. Colorado Backcountry Rentals – 2 hour, half day, or full day rentals. 2 hour rentals for single $145 or double $170. Half day rentals for single $185 or for double $225. Full day rentals for single $325 or for double $375. Nova Guides – 2 hour, half day, or full day tours with 3 different location options. 2 hour tours starting at $170 for singles and $55 for additional passengers. Snowmobile rentals for 2, 3, 4, or 8 hours. 2 hour rentals starting at $150 for singles and $175 for doubles. Rentals require previous snowmobiling experience. 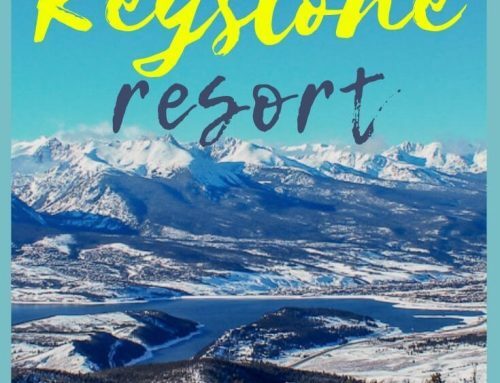 Keystone Snowmobile Tours – 2 hour or 3 hour guided tours with option of Beginner, Intermediate, or Advanced difficulty. Beginner 2 hour tours starting at $110 for singles or $175 for doubles. Snowmobile rentals for 2 hours, 3 hours, or full day. 2 hour rentals starting at $145. Rentals require previous snowmobiling experience. Adventure Times Rentals – Rentals only. Half or full day rentals starting at $140 for singles or $160 for double. 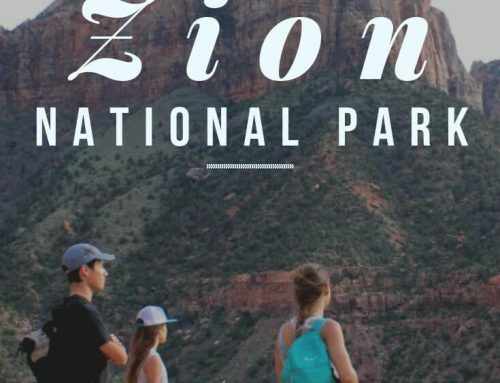 Want to take your outdoor experience from good to epic? Get into the wilderness by staying at a backcountry hut accessed by snowshoeing or XC skiing. Some routes can be very easy while others are only for experienced backcountry travelers. For an easy route try snowshoeing or skiing to Francie’s Cabin near Breckenridge. Want a little more challenge? Ski or snowshoe to Janet’s cabin by Copper Mountain (PS this hut has a sauna). Reservations are required at all backcountry huts. See all backcountry huts and make reservations by clicking here. Looking for something fun and free to do with the kids? Grab a sled and head to Rainbow Park in Silverthorne, Carter Park in Breckenridge, or the hill behind the parking lot at the Frisco Adventure Park. If you want more thrills, pay to go sledding at the Frisco Adventure Park, Keystone Resort, or Copper Mountain. Want to be reminded of your youth? Head to Lakeside Bowl and Billiards in Dillon for bowling, pool tables, arcade, beer, and food. We love that it’s affordable fun for the whole family when the weather is bad. If you go wih kids before 5 p.m., it’s half price for everyone in your group and craft beers are only $3. Escape Room Breckenridge, voted the the #1 indoor activity in Summit County, was one of our family’s favorite things to do in Breckenridge. It’s an amazing activity to include in the evening after skiing and enjoying other winter activities. Escape Rooms are such a great way to bond as a family or with friends. Laughs and a good time are a guarantee. Escape Room Breck has 4 different rooms you can choose to escape from. If you’re visiting during the holidays, be festive and Escape from Santa’s Naughty List. Read our full review of Escape Room Breckenridge here. While dog sledding may seem odd, it can be a fun activity for your groups. Groups take turns running the dogs, riding in a dog sled, and riding in a passenger sleigh as you ride along a beautiful 6 mile route in the stunning Swan River Valley. 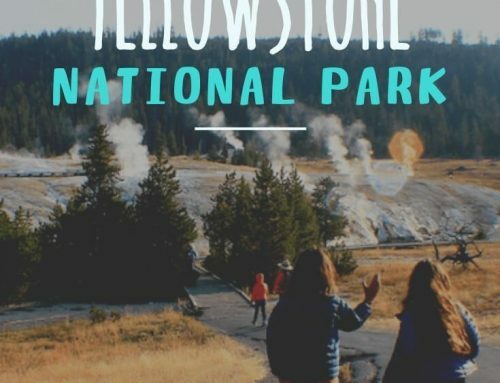 Good Times Adventure – $90 for adults, $60 for kids 5-8. Silverthorne and Breckenridge have great family friendly rec centers. Both have indoor pools with a spa and a water slide. Need to get in a workout? Both offer weight rooms, although the Breck one is brand new with state of the art equipment. Both also offer aerobics and yoga classes. 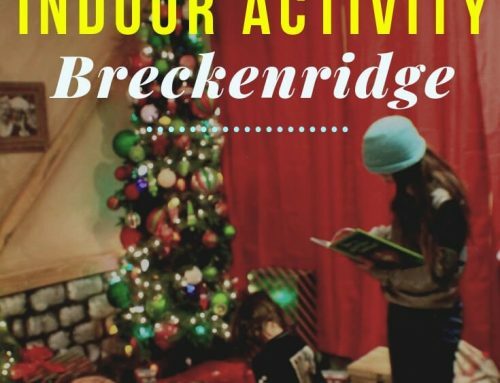 The Breck center also has an indoor rock wall with bouldering, top rope, and lead routes and is open most days from 1pm – 7pm (6pm on weekends). If you’re in Summit County for the holidays, it’d be a crime not to attend a joyous tree lighting festival. Keystone Resort, Copper Mountain Resort, Frisco, Breckenridge, and Silverthorne all have their own tree lighting ceremony and festivities. Grab your hand and foot warmers and enjoy cocoa, live music, Santa, and parades. This is without a doubt the most hipster cafe in Summit County. The Crown serves breakfast and lunch/dinner. Their menu includes delicious paninis, sandwiches, flatbreads, and soups. And of course, they have a full menu of coffee drinks plus wine, draft beer, and some incredible coffee + cocktail combos. The ambiance is chill yet radical and you’ll appreciate how affordable it is. Grabbing a drink at a brewery is a great way to warm up after a fun day on the slopes. The breweries in Summit County are very family friendly with a great selection of local, craft beers on tap. Outer Range brewery is always our top pick for their diversity of IPA’s but there are plenty of other rad ones to choose from like Angry James or Broken Compass. An awesome way to experience all the breweries around Summit is by taking a bike and brew tour. Bike + brew tours are possible even in the wintertime by hopping on a fat bike instead of a regular bike. You can partake in a guided Fat Bike and Brew tour or rent some fat bikes and tackle the breweries yourself. Craft beer not your thing? Check out one of Breck Distilleries multiple locations. Enjoy a delicious meal to pair with your drink at their restaurant location where they also offer complimentary tours plus tastings. The distillery also has a tasting room location in downtown Breck. Maybe you’re a total food snob or maybe you just really like chocolate? Either way, Breck Cheese and Chocolate will have you swooning. Pick up some small batch chocolate, small farm cheeses, and other artisan goods to enjoy with dinner or just to snack on throughout the day. Not only do Keystone, Breckenridge, and Copper Mountain hold some great skiing/riding, they also host some fun parties throughout the winter. Every year Keystone hosts the family friendly Kidtopia Holiday Spectacular, a month long festival with games and music that’s great for families. Keystone also hosts other fun events like like B.L.A.M. (Beer, Local Art, and Music). Click here to see this year’s Keystone events. You can always count on Copper to deliver epic concerts and snow sport events throughout the season. Click here to see this year’s Copper Mountain events. Breckenridge has a lot of festivals too, varying from the International Ice Sculpture challenge and festival, to the Dew Tour snowboard & ski competition, to the Ullr Fest, a 55 year tradition celebrating the Norwegian god of winter that blesses Breckenridge with amazing powder. Click here to see this year’s Breckenridge events. This highway is the fastest way to get from Breck to Keystone and A-Basin but it’s also the most incredible drive in Summit County. Take it slow so you can soak in the views and don’t forget to stop and enjoy the incredible views from Sapphire Point along the way. Sapphire Point is the stunning overlook that lies along Swan Mountain Road. From this high overlook, you get a perfect view of Breck’s crown jewel, the 10 Peaks, all which are beautiful snow capped in the winter. To top it off, this view is seen from above Lake Dillon in its icy glory. This overlook is an absolute must in near dawn or dusk for picture perfect lighting. This is a fabulous way to experience a winter wonderland. Click here to see our full review of Two Below Zero (coming soon). 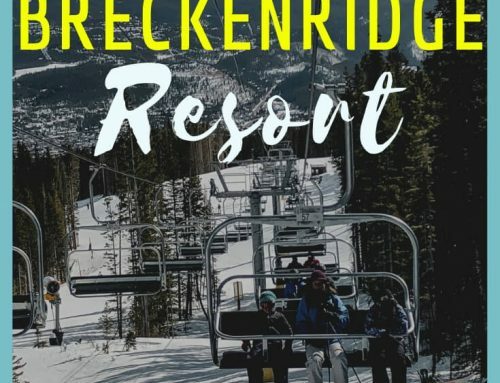 You don’t need lift tickets to see enjoy Breckenridge Mountain and I highly recommend seeing the incredible resort even if you don’t plan on skiing/riding. The Breckenridge gondola is free year round and will take you up to peak 7 or 8 where you can ski, ride, or just hang out at the lodge and relax. The ride up is extremely scenic and provides views down toward the town of Breckenridge as well as the peaks above. Got sore muscles from too many hours on the slopes? Have no fear, our friend John at Live Harder Wellness will take care of you. Besides offering great massages, Live Harder Wellness also offers functional and sport specific training and yoga classes. Best of all, this isn’t a high price activity. Everything at Live Harder Wellness is donation based. Besides Live Harder Wellness, there are many other great yoga classes in Summit, like Summit County Yoga Project in Frisco. And of course you must ski or ride Breck, Keystone, A-Basin, or Copper Mountain. Summit County is a one of a kind place, a lot of it due to it’s wild nature and great powder. With that comes harsh weather and dangerous backcountry travel. Here is a list of resources for avalanche safety, weather forecasts, and more so that you can stay safe while enjoying the amazing winter activities Summit County has to offer. Hope this helped you find some amazing winter activities in Summit County! Got questions? Let us know in the comments section below!